Published on February 23, 2011 by cara.b.b. so, i was perusing spring clothes at gap.com (because i want spring to get here – BAD), and i saw this shirt, which reminded me of this fabric. so then i thought, this outfit could turn into a pretty cool room. 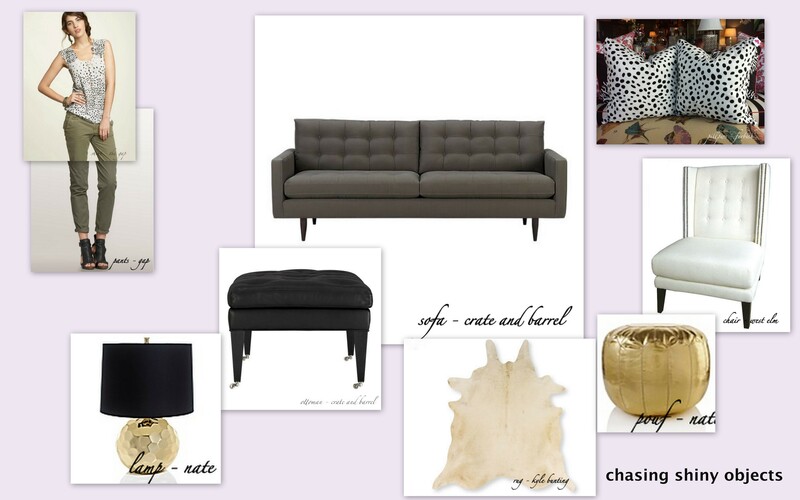 a little bit rock and roll and a little bit ladylike, all with a splash of lavender on the walls. give the board a click to make it larger for your viewing pleasure.